One of the cool things about Europe are the amazing old castles that can be found just about anywhere on the continent or British Isles. 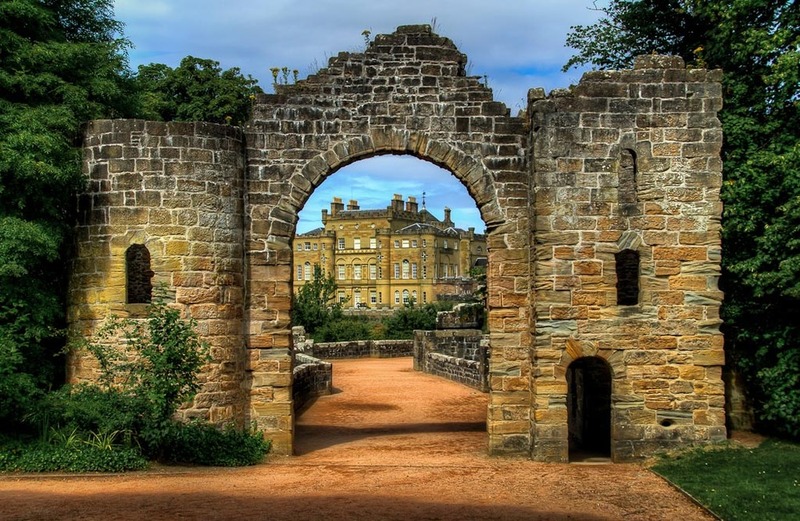 One of my favorite castles is Culzean Castle which is located on the Ayrshire coast of Scotland. Little did I know when we pulled into the parking lot and walked down a long path, I would see one of the most imposing castle entrances ever. The massive stone gate stands guard to the beautiful castle inside. The castle was built in stages between 1777 and 1792 and is now owned by the National Trust for Scotland, which has done a magnificent job restoring and maintaining it. The castle now is home to a hotel and offers tours that transport you to a time long ago. Since 1987, an illustration of the castle can be found on the reverse side of five pound notes issued by the Royal Bank of Scotland.